The first experience would be to take a plane and meet the man sculpted by Ripollés. 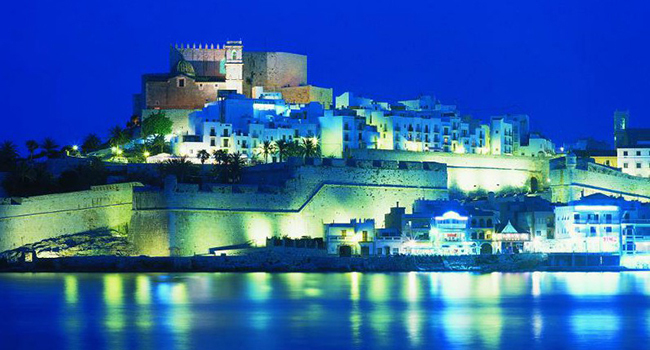 Getting off and setting foot on Castellón brings up endless sensations, from the scent of the orange blossom, which is name giver to the Costa del Azahar to the cool sea breeze, and also the soft touch of the beach sand where the calm Mediterranean waters sway. But Castellón is much more than sun and beaches. Here, you’ll travel to the centre of the Earth by boat; fly like a vampire or an eagle over the mountains and natural parks; make history like El Cid on his path to his exile to Valencia; live life like a movie star such as Charlton Heston and Sophia Loren; play a Game of Thrones; and even get lost on a desert island. Volcanic indeed. 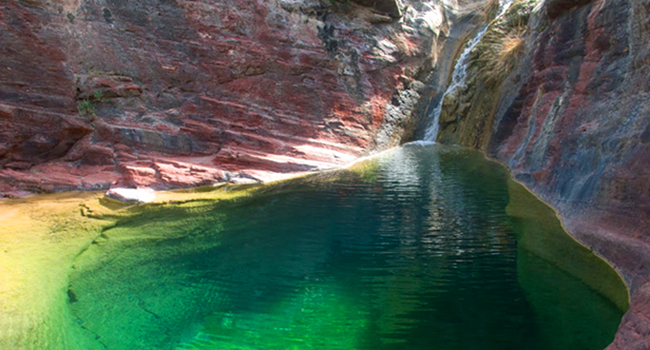 Here you are 5 amazing experiences you could have in Castellon. Delving into the depths of the Earth on boat plying the calm waters of the longest underground river in Europe is an incredible experience. 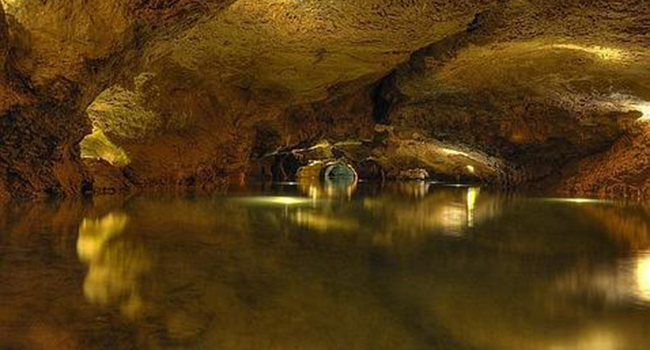 In the Saint Joseph´s Cave in La Vall d’Uixó it is possible to see an overcast sky of strangely shaped rocks that the movement of water has molded for thousands of years, and go back in time to discover a beautiful landscape that nature has kept secret since the dawn of time until today. It has not been achieved yet to explore or know neither the origin of the river nor the end of the cave in which you can traverse more than a kilometer and a half of tunnels to see the Boca del Forn, the Blue Lagoon, the Flower Cascade, the Devil Lake, the Rock, the Diana Lake and the Bats Hall. Yet another two kilometers of the route are closed to the public permanently. But there are more amazing experiences you could live in Castellon. Fly like a real vampire. Bats, to be precise, is what can be found in the Natural Park of the Espadán Range. Up to 16 different species, some endangered, share the sky with birds like the short-toed eagle, goshawk, or tawny eagle, and night owls. They all coexist in a natural setting of maritime pine forest, riparian woodland, the typical Mediterranean forest of oaks and Aleppo pines, as well as interesting peculiarities as chestnut groves. However, the cork oak forest is the most representative ecosystem of Serra d’Espadà with its uniqueness and its good state of preservation. Want to get to know the rest of the inhabitants? Several routes cover the area so that you don’t miss a thing and dozens of people are waiting to show you the richness of their villages. Castellón is the first of the three Valencian provinces that, according to the Song of the Cid, Rodrigo Diaz de Vivar crossed in his path of exile to Valencia. More than 300 km route in total to get to know the medieval past, landscapes, history and art that inspired one of the most famous Spanish legends of the Middle Ages. Puebla del Arenoso and its curious triangular square, Jérica, Segorbe, protected by its strong walls of the twelfth century, Villafranca del Cid with its remarkable Church of the Savior, Benassal with its imposing fortified towers, and L’Alcora, dominated from above by the Muslim castle of L’Alcalatén, are just some of the scenarios that witnessed his whereabouts and that can still be visited. Live life like a movie star. Charlton Heston and Sophia Loren have also been to Castellón. It is a land of cinema that has seen, amongst others, Anthony Mann in action during the filming of El Cid (1961). But if there is any mandatory visit for a cinema lover, then it is Peniscola and its castle that once was home to the Papa Luna. However, before the Hollywood blockbusters disembarked here, the place had already been immortalized by Luis García Berlanga in The Rocket from Calabuch (1956) and returned with his last films Paris-Timbuktu (1999). Other examples are Tierra (1996), Mataharis (2007), and the TV series El Chiringuito de Pepe (2014). However, if anything has strongly famed the city, in addition to its beaches, it is the shooting of Game of Thrones. But if you are looking for a lot of sun and beaches, we must not forget that Peniscola is the fifth favorite holiday destination for Spanish families. Yet the most difficult experience in Castellon is to get lost on a desert island! Yes, it is possible. 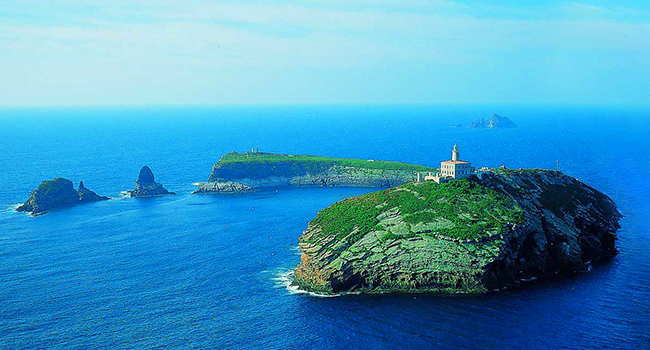 In the same waters looking towards the castle of Peníscola, about 35 nautical miles away, you find the archipelago called Columbretes Islands that has its name originated in Roman times referring to the amount of snakes that inhabit its volcanic ground. However, the true wealth of Illa Grossa, La Ferrera, La Foradada and El Carallot is under the sea, in the crystal clear water that allows you to enjoy a rich seabed where groupers, breams, sargos, eels, lobsters, barracudas and other species swim at ease among the red coral. On land, a lighthouse and a small cemetery are practically the only traces left by mankind. What else do we need to make you come to Castellon?